Fabulous Library building on an awkward sloping corner site by Thomas Cooley, the architect of Dublin’s City Hall which was started just two years earlier. Like City Hall, the library building has two primary façades which received fine detailing and a third façade which was less elaborate. 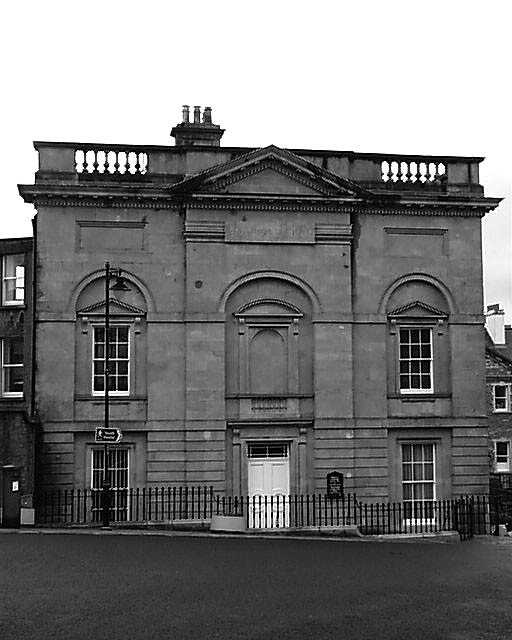 The main front has five bays, the central three projecting slightly with fine tall round-headed windows lighting the reading room. The side elevation could be a different building: the round-headed windows are gone, instead simple pedimented surrounds over rectalinear windows flank a central bay with a blank shallow niche. A beautifully proportioned building which is well maintained.